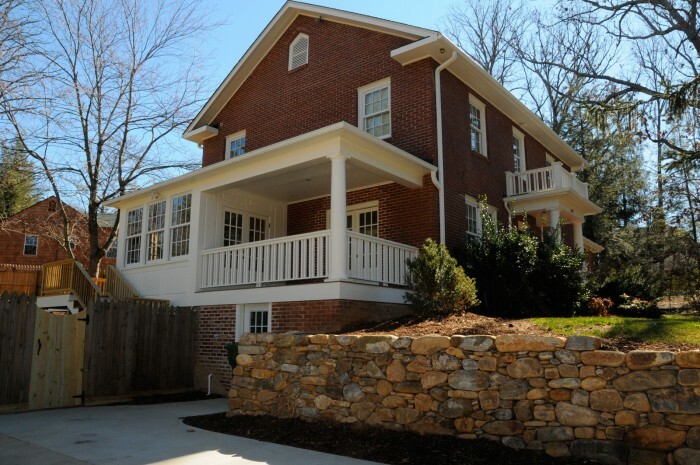 Creative solutions for modern living in a traditional home. 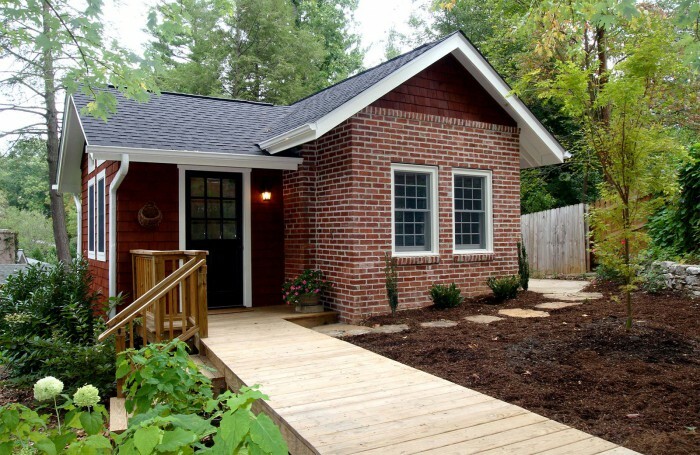 First, a detached garage was creatively converted into a fully equipped guesthouse cottage. 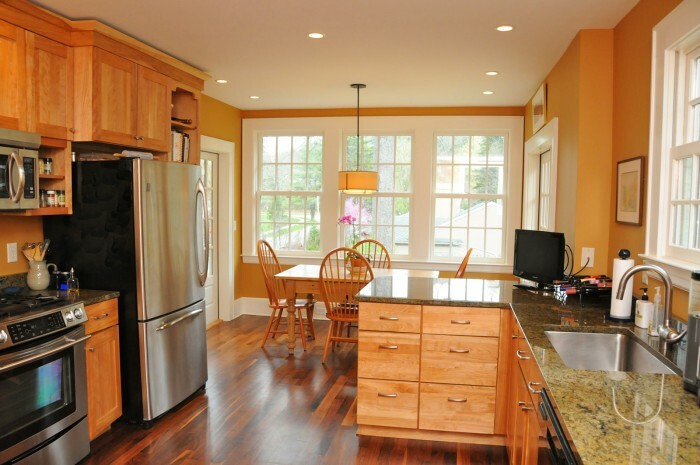 Next, a kitchen addition and remodel, which also included the dining area and an exterior porch, remedied a dysfunctional layout, while making the porch more useful to the homeowners and increasing natural light in the house. 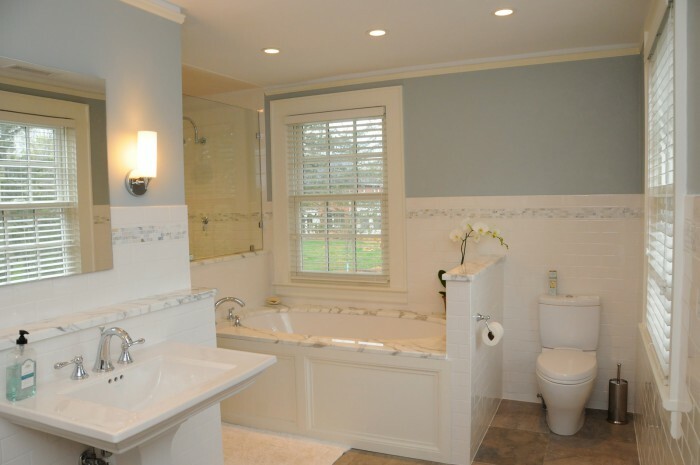 Upstairs, to provide a more spacious bathroom, a small bathroom and large closet traded places.